This is a gallery of images featuring the Fire form. 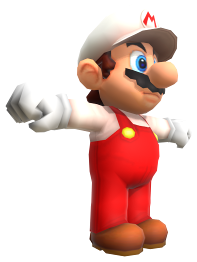 Official 2D artwork of Fire Mario. Fire Luigi, New Super Mario Bros.
Small Fire Mario, Super Mario Bros.
Fire Luigi, Super Luigi Bros. This page was last edited on January 15, 2019, at 02:57.